In case you haven't heard, the pathology results from my surgery reveal no residual invasive cancer in the tumor that was removed and no tumors in the lymph nodes that were removed. There are some microscopic foci of non-invasive/pre-cancerous cells in the tumor, but they were so few, they were termed "rare." These are to be expected following the neoadjuvant (before surgery) chemotherapy I had. My journey to healing is not over yet. The radiation will be Monday - Friday for six weeks. In the meantime, my body is still recovering from both the cancer and the chemotherapy used to treat the cancer. My head is still mostly bald and my eyelashes and eyebrows are taking their time in making a reappearance. A few people have asked me, "What will you do now?" I will always have regret that my health was the impetus for our leaving China. However, we are at peace that our season there is over for now and that a new season is beginning here in the States. Right now, Michael has a friend over from school . . . the son of immigrants from India! One of Rachel's good friends from school is from Shanghai. We have no shortage of an international community right at our doorstep and we hope to be actively involved in it. I will take my time, though, in listening to God in what he wants me to do now. As I said, I still have a ways to go. I need to lose the weight I gained during chemo and continue to lose weight to reach a more healthy size. I will continue to walk and exercise and regain the muscle mass I lost during chemo. I will continue to help my children adjust to life in the United States. This year is a sabbatical year for me . . . a year of rest and restoration. I don't have to be busy all the time. It's okay to be still and to enjoy the peaceful waters around me. I don't have to know what's next. God knows and that's good enough for me. "You will not find my peace by engaging in excessive planning: attempting to control what will happen to you in the future. That is a commonly practiced form of unbelief. When your mind spins with multiple plans, Peace may sometimes seem to be within your grasp; yet it always eludes you. Just when you think you have prepared for all possibilities, something unexpected pops up and throws things into confusion. "I did not design the human mind to figure out the future. That is beyond your capability. I crafted your mind for continual communication with Me. Bring Me all your needs, your hopes and your fears. Commit everything into My care. Turn from the path of planning to the path of Peace." The message is clear! (I'm not just referring to the Eugene Peterson book.) God's plans are before me. He has already walked my road. My solace and comfort is not the passing of the shadow of a cancer diagnosis hanging over my head. My comfort, my hope and my future is that of Christ. This morning, I told my children that their classes would most likely talk a lot about the events of September 11, 2001. Since we moved overseas when they were four and five years old, they have not participated in any memorial services of that day. They know about it as we have taught them about it, but this is the first time they will be cognitively aware of it and of the circumstances surrounding it. Michael asked me why anyone would do such things as done on September 11. I told him it was because the people didn't like the United States and what it stood for. Somewhere along the lines of their lives, that dislike became hatred and hatred became murder and mayhem. Sometimes, I wonder about hatred. Where does it all begin? When you look at children, you don't typically see hatred. In fact, you often see the exact opposite . . . children seem amazingly capable of ignoring differences and simply being content in the present. They don't tend to live in the past or in the future. Now is all that matters. Children change because of what they are taught. Basically, they are taught to hate. Whether or not this education is deliberate or subtle is probably as old as the question "nature vs nurture." At some point in our lives, we become responsible for our own decisions. We are not forced to continue to choose that which we were taught and throughout most of North America, people are free to establish their own identities. Here's some of what I've seen so far since my return to the United States. People are pretty intolerant of anything that strays from the status quo and people are quick to label someone who thinks differently than they do as a "hater." When I read news on the internet, I often scroll through a few pages of comments. Those comments are riddled with hate. I participate in a few forums. Whenever there is a dissenting opinion, there are always many to jump on that opinion and call it hate. I, myself, was labeled a hater because I disagreed with someone posting that eating certain foods would prevent breast cancer. (If that were true, then I wouldn't have breast cancer!) Someone else followed up with "Yeah, I wonder what percentage of haters get cancer." We've become comfortable with hating or with accusing others of hate. Our expressions of such tend to be protected behind a computer screen, but at some point, they come out in other forms. Because I live in an extremely diverse area with many immigrants, I have to wonder how many of my children's Muslim classmates today will be afraid of what their classmates think of them. Will they feel a blanket of hate over them because of others who call themselves by the same name? Will they be victims of sideways glances? Bullying? As adults, how do we physically express hate? Road rage? Slamming doors? Rudeness? Obscene phone calls? Foul language? Hijacking airplanes and running them into buildings? I know, I know, there's no comparison in these actions. However, my point is, hatred doesn't start big. It starts small and builds. Unless we challenge ourselves to live each day in love, we're no different than those who flew those planes or those who orchestrated the plan to do so. One of Mother Teresa's lesser known quotes sums up my thoughts: "Intense love does not measure, it just gives." The only way to counteract hate is to love so unconditionally that hate doesn't stand a chance. This does not mean that I would not defend myself in a dangerous situation, nor does it mean that I will willingly put myself in danger's way. We honor and remember those who were taken from their families and friends eleven years ago. We love those families who mourn. The challenge is, can we love those who took them? Can we love their families . . . especially the children . . . who may be just as much a victim as those who died so tragically? They didn't choose where to be born any more than we did. Unlike North Americans, many people around the world are NOT free to change their life circumstances. A challenge for today: Find someone to whom you can show love . . . someone who normally wouldn't be on your radar. Find some way to be loving in a great way, even if the action is small. It's all about attitude. Mother Teresa also said, "We cannot all do great things; but we can all do small things with great love." Thank you for your constant prayers on my/our behalf. We're convinced that prayers make the difference! Yesterday (the 5th) was a somewhat long day at the hospital. We got there at 9:45 a.m. and left around 8:30 p.m. I had to have one pre-surgery procedure that took about an hour and during that time, the doctors kept commenting on how calm I was. Later, about an hour or so before surgery, the pre-op nurse was shocked to hear that I hadn't taken any anti-anxiety meds prior to my surgery. She, too, commented on how calm both Art and I were. There's a few factors to take into consideration regarding being calm. One, I'm not an anxious person to begin with and two, we knew that we were covered in prayer. Regardless of what the surgery would reveal, we knew that a blanket was surrounding us and that it was a secure blanket. The third factor is the fact that I've had seven months of diagnosis and treatments prior to this surgery. Many women have only known for days or short weeks about their cancer and their surgery is part of the diagnostic process. Everything went well. The doctor removed the tumor and surrounding tissue (total size about that of a small plum, 3 sq cm). She said that to her naked eye, it appeared that she got clean tissue all around the tumor, but that of course, we need to wait for the biopsy reports on the 14th. She also removed two lymph nodes. It was originally planned that a frozen section biopsy would be done while I was still under anesthesia, but the surgeon said that the nodes were too small for this. They will undergo the same type of biopsy (week-to-ten day study) that the tumor will undergo. I'm glad to be home. I'm resting . . . enjoying a day of DVDs and books. I'm sleeping a lot. I have very little pain and haven't had to take any pain relievers of any kind since last night. (I took two ibuprofin before going to sleep so that I wouldn't have to wake up and "chase" pain.) Our friends have been spoiling us with visits and food. If the tumor had clean margins all the way around, then I will be scheduled for six weeks radiation, most likely beginning in October. If the margins are not clear, then I will have a mastectomy in mid/late September. If the nodes are clear, no other action is needed. If they have microscopic cancer cells, then I will have radiation for the nodes. I will NOT have to have further surgery on the lymph nodes. And that's it for now! Another stage of the journey completed, with more learning to come. God continues to show us his faithfulness. I don't pretend to understand everything and as I have said to some friends, "The more I study and learn, the more I don't know." You know what? It's okay not to know. We had a great long weekend. The kids are adjusting well to school (and Michael is even getting into reading . . . at least the story parts of reading! ), but they definitely enjoyed having a holiday so soon! We took a short hike (only one mile total) on the Coast and got us all excited about doing more of this in the future. The photo of the thistle is only a small part of enjoying God's creation. Even prickly things have their place in this world. My cancer has a place in this world . . . I just haven't found quite what that complete place is. Here we are . . . at a point in the journey that I didn't know would come. I am scheduled for an outpatient lumpectomy surgery! The tumor has shrunk close to 96% and had a total area of 1.275 sq cm at the last measurement. (Originally, it was over 27 sq cm!) It may be even smaller now, but no more measurements will be taken. On Wednesday morning, I will go through the admissions process and then have a "guide wire" placed to the tumor. This procedure is done by a radiologist and is pretty simple. Very similar to having tumor markers put in, something that's been done twice now. I will then receive a mildly radioactive ttracer dye injected into the tumor to find out which lymph nodes are "connected" to the tumor. All of this will most likely be completed by noon. If all the removed lymph nodes are clear of cancer, then she will close me up and send me to recovery. If any of the removed nodes show signs of cancer, she will then do what's called an "axillary node dissection" and remove more of the lymph nodes under my arm. The extent of how many to be removed would be based on how many of the initial nodes were cancerous. If I have to have additional nodes removed, then I will need to stay in the hospital overnight. No one suspects node involvement. Everything looks clear, but of course, we know that all cancer is not visible to the naked eye. That's why biopsies are needed. The pathology report on the tumor itself won't be ready for a week. My post-op appointment is Friday, September 14. Those eleven days will be very hard to wait through! Patience, while easier for me now than it was six months ago, is still not one of my strongest virtues. If the pathology report on the tumor shows that there is clean tissue surrounding the tumor, then typically means that all cancer has been removed. Six weeks of radiation will be recommended to help reduce the chance of local recurrence. If the surgeon is unable to get clean margins (if cancer is in the tissue outside the of tumor), then I will have to have a mastecomy mid/late-September. 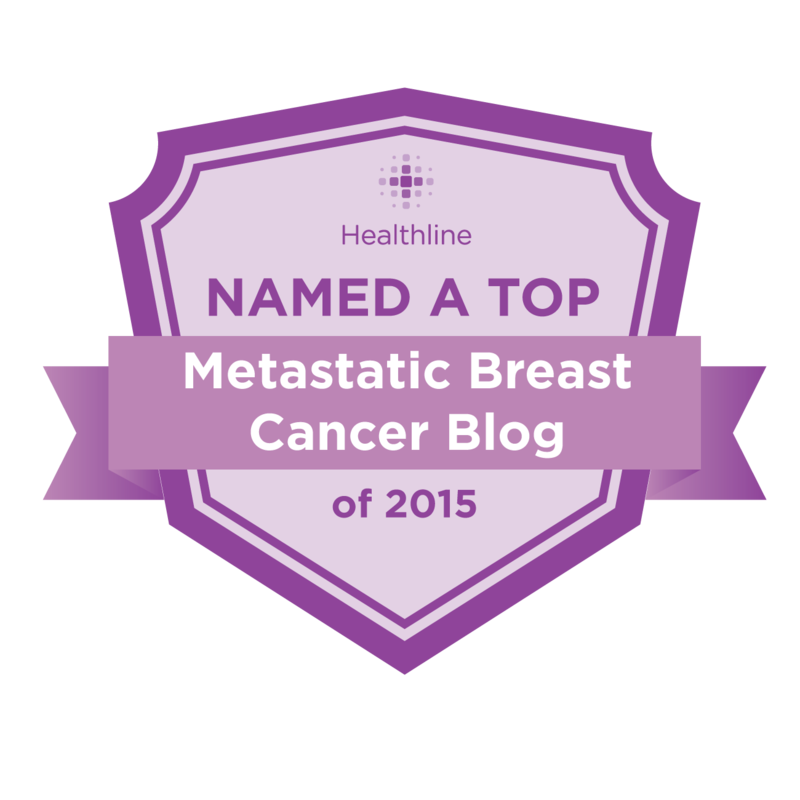 No radiation with a mastectomy. Rachel and Michael will be spending the night with friends on Wednesday night. Even if I get to come home after surgery, it would be somewhat late and it's better for them to be in bed on time. That the kids be at peace. Rachel has already had one nightmare in which I didn't make it through surgery. This reflects her deepest fear. That there is no cancer in the lymph nodes. That the tumor is able to be removed with clean margins. That I don't get too cranky with the lack of food before surgery and that Art has patience with me leading up to the surgery. I will encourage him to go out and eat for himself so that we both aren't cranky! That I respond well to the anesthesia and that there be no complications of any kind. That recovery from the surgery is as quick and easy as everyone expects it to be. For patience as we wait eleven days for pathology results. Thank you for your continued part in our journey.